The new iPhones - XS and XS Max - that were launched recently have a lot of promising new features, including dual SIM support using eSIM, depth control in portrait mode, a stable user interface and more. It was just recently with iOS 12.1 when many of these new features made their way to the new iPhones. Here's how the new iPhones perform. Difference between XS and XS Max: The iPhone XS Max is the bigger, elder twin brother of the XS. It only has a bigger display, 6.5 inch instead of 5.8 inch, and a slightly bigger battery. Even with the bigger display, there isn't any extra row of apps. Instead, the text appears slightly bigger in email, browser etc. The camera, processing power and everything else in the smartphone remain the same. Design: Last year, with the launch of iPhone X, Apple moved to a new, futuristic design language. The company managed to pack in a bigger display in a compact size by using edge-to-edge display, replacing the top bezel with a notch and doing away with the home button. The new iPhones continue to have the same design language as of iPhone X. Of the two, the XS comes with a 5.8-inch display, and the XS Max packs in a massive 6.5-inch screen. The former (XS) has a compact, ergonomic footprint, which makes it comfortable to hold and operate using a single hand. On the other hand, the XS Max is on the slightly bigger side -- almost the same size as of iPhone 8Plus. But with screen running to the top, I had to use both my hands while reaching out for notifications or control centre. In an effort to enable wireless charging on iPhones, Apple has used a durable glass at the rear as well. However, the soft finish makes it slippery and adding a cover might be a good idea. But whatever cover you may choose (flip, rear, etc. ), if you are into charging your phone wirelessly, it is recommended to stick with official Apple covers as these don't hinder wireless charging. The new Gold colour variant of the phone looked stunning during the keynote and even in television advertisements. But in real life, it is nowhere close to the golden metallic effect. It looked great only under certain lights. The Black iPhone 7Plus and Rose Gold iPhone 6S Plus were the best colours Apple has ever come up with. Display: Both the 5.8-inch iPhone XS and 6.5-inch iPhone XS Max pack in a super-bright display. Both house edge-to-edge custom OLED displays that offered deep blacks and great colour reproduction. The former features 2436x1125 pixel resolution at 458 ppi display, the latter has 2688x1242 pixel resolution at 458ppi screen. Both the phones feature Apple's True Tone technology that allows the iPhone to adjust the colour temperature based on the light of its current surrounding. While many love this setting, I prefer to keep it turned off as in certain surroundings, the screen appears to be yellowish. Overall, the displays used are the best in the industry. There is a wide 'notch' at the top housing camera and sensors, that doesn't bother me much. If you are planning to upgrade from an older generation iPhone (not the iPhone X), you might miss the iconic 'home' button for the first few days. But soon, will get used to FaceID for unlocking the iPhone (at times enter a passcode) and gestures for navigation. The touch ID (fingerprint scanner) integrated within the home button has been replaced with FaceID that uses the true-depth camera to accurately map the geometry of the face. While initially, it might fail to unlock a few times, Face ID's accuracy improves with use and is able to unlock the phone as soon as true-depth camera scans the face. And it works well in dark too. As Apple maps 30,000 invisible dots to create a depth map, the iPhone won't be unlocked using an image. For gesture navigation, swiping up from bottom takes to home screen, swipe up and hold shows the running apps. Swiping down from the top has two gestures - swiping down from the left of the notch shows notifications and from the right opens control centre for accessing wireless setting, torch, portrait/landscape mode and more. Camera: There was a time when iPhones had the best camera around but the competition is quickly catching up. The rear dual-camera setup isn't bad and manages to capture some great images but the Google Pixel 3XL comes across as a winner. Both the iPhones house a dual 12-megapixel rear camera where the primary wide-angle lens has a f/1.8 aperture and the telephoto lens comes with f/2.4. The primary sensor has received a significant upgrade as it captures bigger and deeper pixel. The images shot using the wide-angle lens capture great details and colours. It does a pretty impressive job in low-light too. However, the Portrait mode (bokeh images) isn't the strongest point. The much waited 'depth control' finally came in with iOS 12.1, and allowed to control background depth while capturing an image. I was able to use the setting by pressing the 'f' icon from the top right of the Portrait mode. By switching between f/1.4 to f/16, I was able to adjust the background blur in real-time, and even control it later while editing the image. Unlike other smartphones, where bokeh effect works on almost all subjects including objects, the one on the iPhone works well with human faces. The Portrait mode is a kind of hit and miss, and I ended up checking the image after every click. With objects, it fails to identify the foreground and background and ends up blurring a part of foreground as well. On the other hand, Google Pixel 3XL with a single camera and artificial intelligence manages to successfully identify the foreground and background and captures a great image every time. For the front camera, both feature a 7-megapixel sensor with a f/2.2 lens and yet manage to capture Portrait images with an option to adjust background blur. However, they aren't selfie experts as the images appear over processed. Apple claims to have fixed the issue with iOS 12.1 but there hasn't been a significant difference. Dual SIM: The new iPhones have Dual SIM devices but with just one nano-SIM slot. Apple has yet again been a trend-setter and has adopted eSIM technology for the secondary (which can also be used as a primary) SIM. Introduced with iOS 12.1, an option of 'add data plan' appears within mobile data option under setting, using which you will be able to scan the QR code issued by the network operator or add the SIM details manually. Once the eSIM is activated, the physical SIM gets blocked and to reactivate the physical SIM, you will have to get a new SIM card issued. The eSIM can be selected as a primary or a secondary SIM. There is an option to store more than one eSIM in the iPhone but one eSIM can be used at a time. iOS 12: One of the most stable iOS version in recent years, the iOS 12 ties to address bugs and issues introduced with last year's iOS 11 along with some new features. It brings in group notification where notification from one source is stacked together. I was able to manage notifications right from the locked screen - dismiss multiple notifications or all at once. The Screen Time section within settings helped me understand the functions and apps I used most in the phone, and even set limits for apps usage. The Downtime option greyed out the apps after the set duration of time. Lastly, Siri continues to struggle as half of the time, it fails to understand or respond to questions and requests. Performance: Powered by Apple's own A12 Bionic chipset, the new iPhones are a powerhouse. Gaming and augmented reality apps load quickly, without any frame-loss. There wasn't any lag while editing images and 4K videos on the phone itself. The phone is quick to load apps, switch between running apps and more. The new iPhone froze only a couple of times and I had to force start it just once. But the issues vanished post-iOS 12.1 updates. Battery: Both the iPhone XS and iPhone XS Max pack in a bigger battery that managed to last a day with ease, with still over 20 per cent battery. Price: The new iPhones are priced on the higher side. 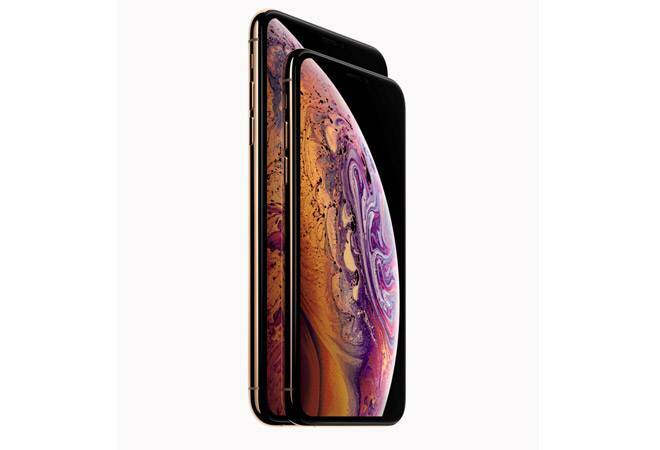 The iPhone XS comes at a starting price of Rs 99,900 and the iPhone XS Max starts at Rs 1,09,900.